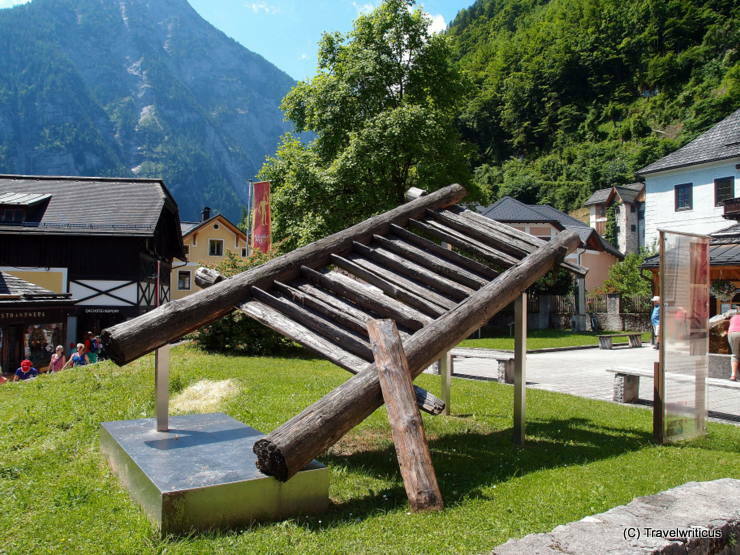 This replica of a wooden staircase in front of the Museum Hallstatt reminds of the fact that such a staircase dating back to the Bronze Age was found in the nearby salt mines. Fun! 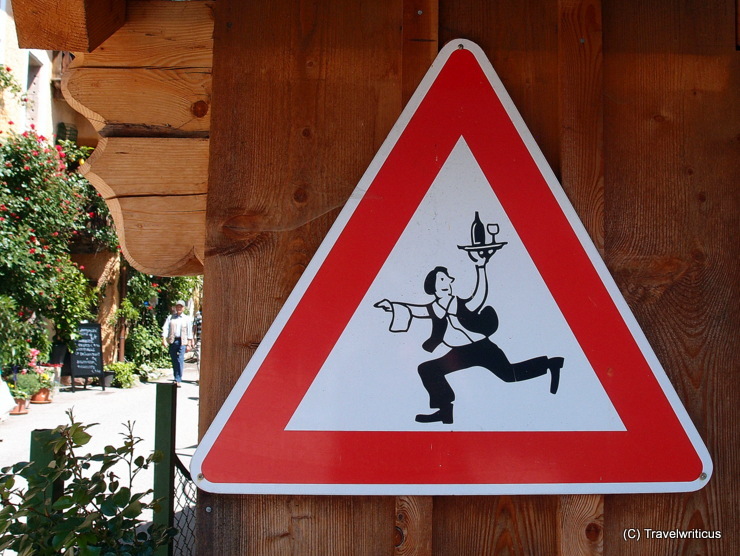 This traffic sign – which is most probable an unofficial one – gives warning of hasting waiters. 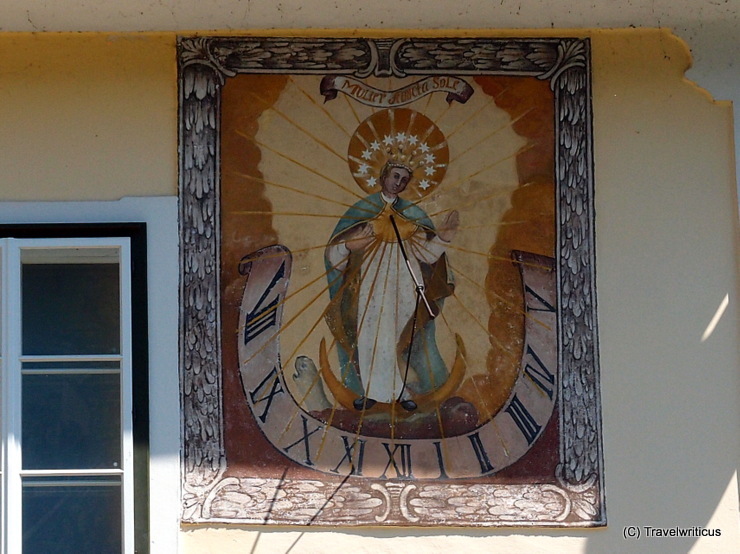 Some restaurants of Hallstatt offer table right next to the Hallstatt Lake so waiter have to cross a small street. Well, as only a few cars are allowed to use this calm street there is more danger to get hit by a waiter than a waiter will get hit by a car.